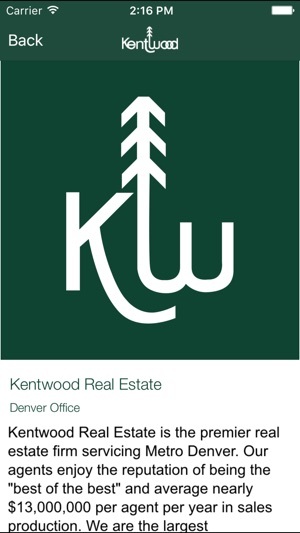 Download Denver Real Estate Kentwood's app and discover a variety of different search options and filters, making it easier than ever to search for homes on-the-go in Denver. 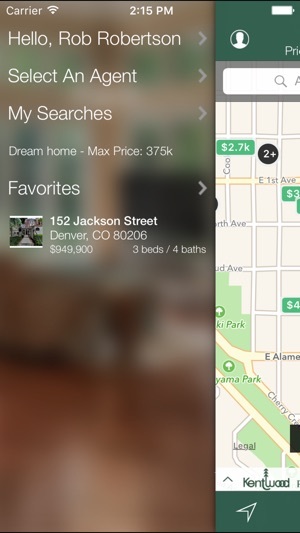 •Augmented Reality: By using your smartphone’s camera, simply hold up your device and explore the surrounding area. Objects you look at will be overlayed on the camera’s display offering additional interactive content and information. 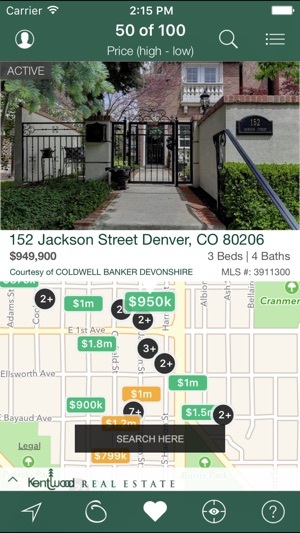 •In addition to the interactive search functionality, the app also syncs to your account with Denver Real Estate Kentwood ensuring saved data is accessible on your mobile device as well as Denver Real Estate Kentwood's website. 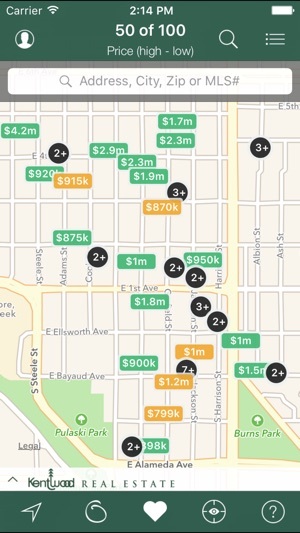 Great app, love the search nearby, and other mapping features. Very user friendly and easy to use! Great information, great format! 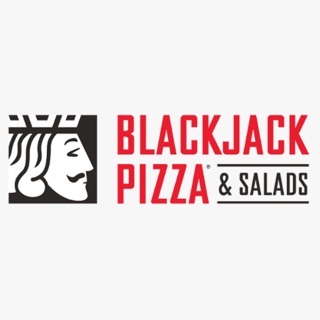 Works great, and I suggest it to all my clients.